Veronique Paulet introduces her vision of the « blue hour ». 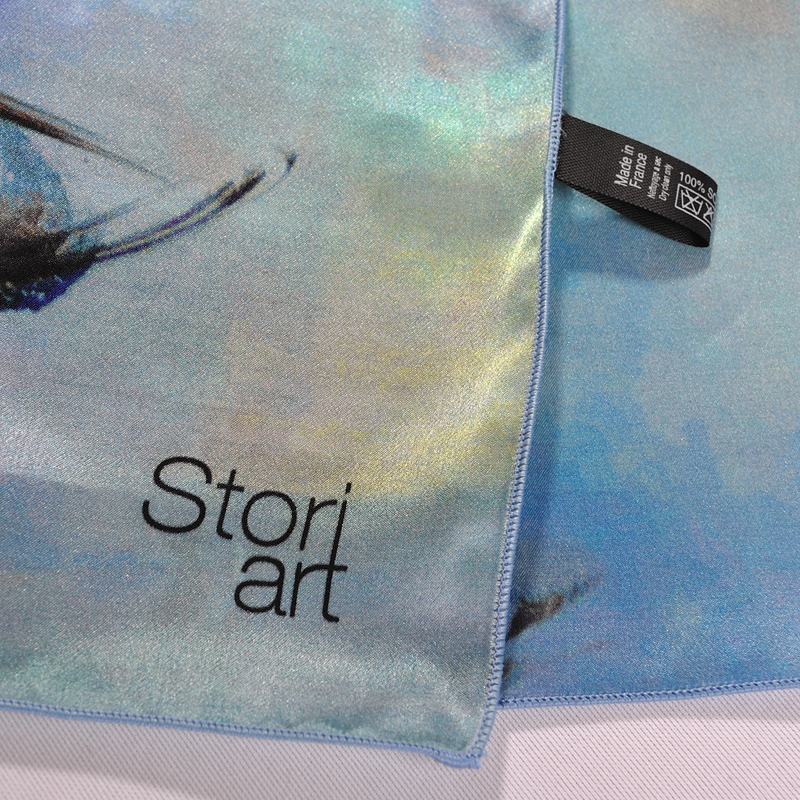 This canvas is the second that Storiart and the artist have decided to adapt onto a scarf. 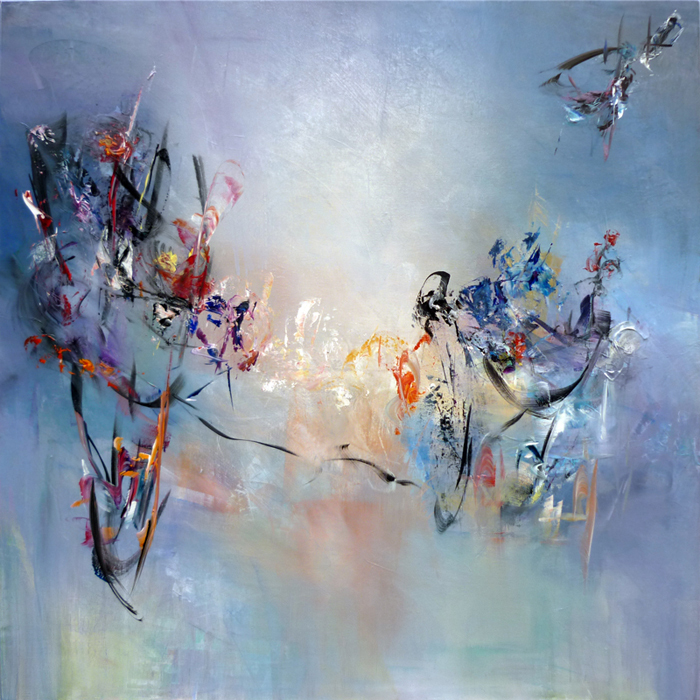 The abstract style of the artist is immediately recognizable in this universe where day fades to night. The “blue hour” is an experiment that the artist describes with her own language: an intense moment where perfumes revel and where time is suspended. 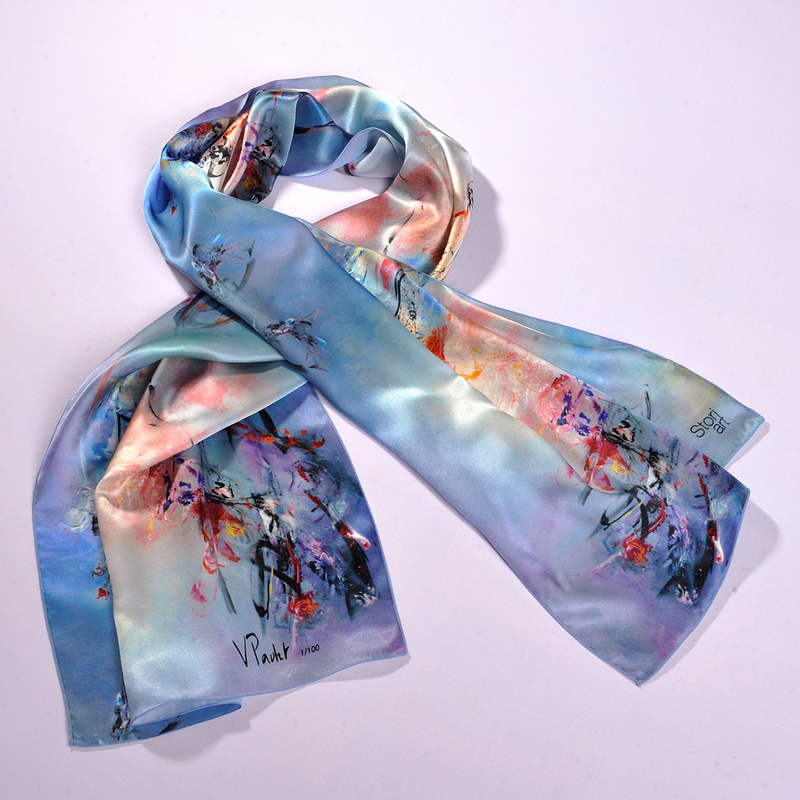 This art scarf is made in France. 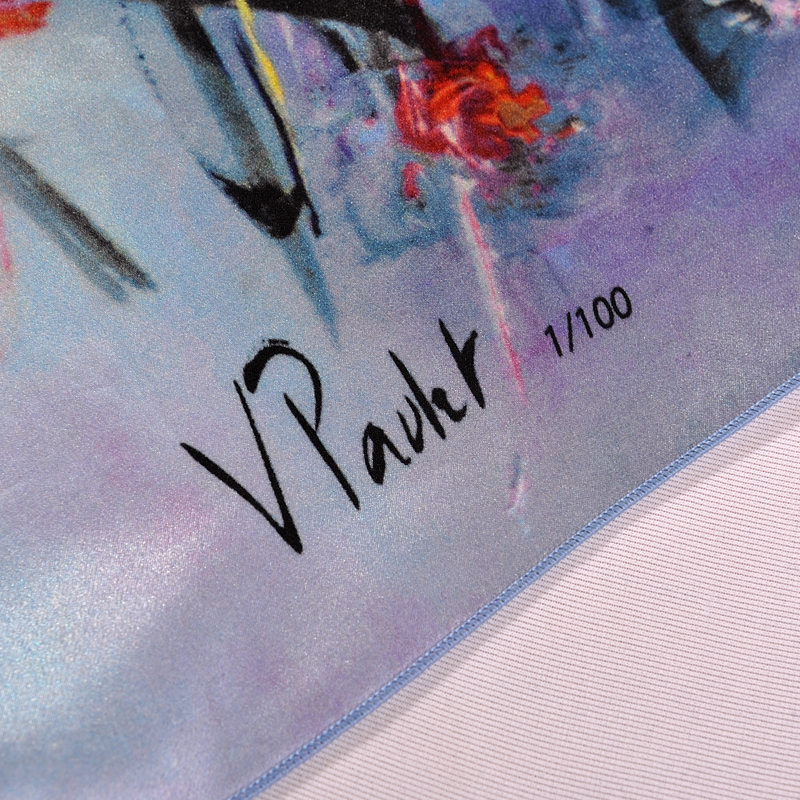 Only 100 prints, signed by Véronique Paulet. 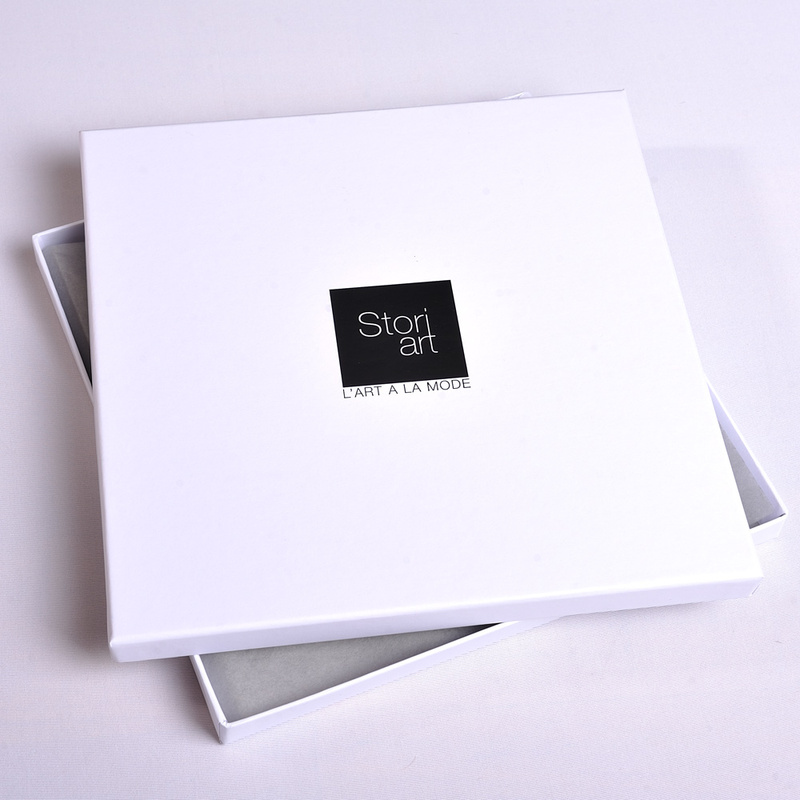 This piece of art is delivered by Colissimo in a gift box where an introduction of the artist and the original canvas are printed.